All accomodation, meals, sightseeing, guide and transport included. Another advenuture in Bhutan including all cultural activities and visit of Monastery including Tiger's nest. We will also do sightseeing in Paro, Thimpu, Punakha,Wangdue Phodrang,Trongsa, Bumthang and Phobjikha. We also included a day exploration of URA valley. Afternoon: Visit the National Museum (Ta-Dzong). Once the watchtower for the Rinpung Dzong, it was converted into the National Museum in 1968. The museum stands on a promontory overlooking the Paro valley in all its glory. Visit the Paro Rinpung Dzong. A flagstone path rises gradually from a beautiful wooden bridge with shingle roofing and abutted by two guardhouses, to the Dzong. Today, the Dzong is the seat of the district administration as well as the home for the monastic school. The central tower (Utse) of the Dzong, with its superb woodwork, is one of the most beautiful in the nation. The Dzong was built in 1645 A.D. Morning: Drive to Drugyal Dzong (a ruined fortress – 16 km away from Paro town). The Dzong, although in ruins, holds great historical significance. It was from this fortress that the Bhutanese repelled many Tibetan invasions. The name means the victorious Bhutanese. This spot offers a magnificent vista of Mount Chomolhari, “Mountain of Goddess” (7329 m).Visit a typical Bhutanese farmhouse on the way back. A short distance south of the road is Kyichu Lhakhang. This temple is said to have been built in 659 by King Songtsen Gampo of Tibet. It holds down the left foot of an ogress whose body is so large that it covers Bhutan and most of eastern Tibet. Evening: Tea at the hotel and drive for two hours (65 km) to reach the capital city of Thimphu. 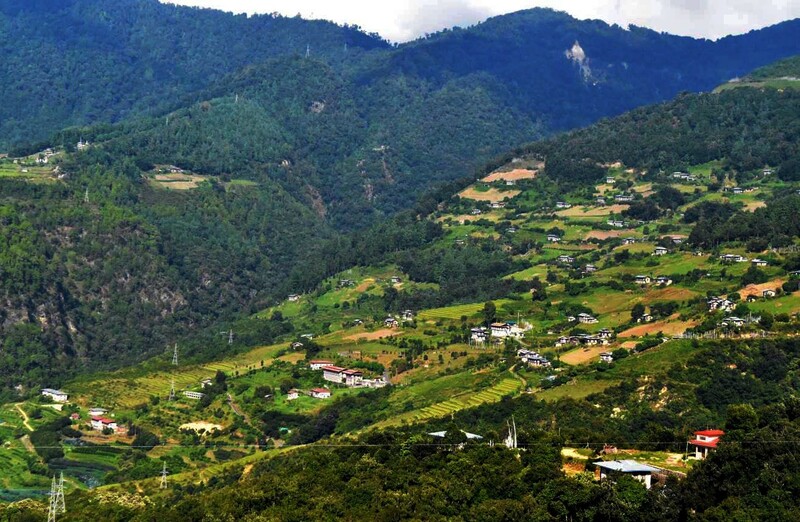 Thimphu lies in a wooded valley, sprawling up a hillside on the West Bank of the Thimphu Chhu [Chhu means River]. Thimphu is unlike any otherworld capital. Small and secluded the city is quiet and there are never the traffic jams familiar in other Asian Capitals. It is often said that Thimphu is the only world capital without traffic lights. Thimphu’s main shopping street is a delight not so much for what you can buy there, but for the picturesqueness of the architecture and national costume. Beautiful weaves in wool, silk and cotton, basketwork, silver jewellery, thangkas and other traditional crafts of the Kingdom are available in various Handicraft Emporiums. Morning: Visit the Memorial Chorten, a huge stupa built in memory of the third King who reigned from 1952-1972. Visit Tashichho Dzong – the main secretariat building. It is from here that the King and other prominent civil servants run the country. The Head Abbot and the central monastic body also reside here during the summer. After breakfast transfer to Punakha/Wangdue. En-route stop at Dochula Pass (3150 m), 30 km from Thimphu, for tea and biscuits and enjoy a view of the Eastern Himalayan Mountains. From Dochula to Wangdue, it’s another two hours drive.Wangdue Phodrang Dzong is perched on a spur at the confluence of 02 rivers. The position of the Dzong is remarkable as it completely covers the spur and commands an impressive view over both the north-south and east-west roads. The main road climbs the length of the spur and on the left, across the river, comes the first glimpse of the picturesque village of Rinchengang whose inhabitants are celebrated stonemasons. After lunch in Lobesa, visit the Punakha Dzong. This is the winter residence of Bhutan’s spiritual leader, the Head Abbot, and the Central Monastic Body. The Dzong is built between two rivers known as “Phochu” (Male River) and “Mochu” (Female River). On the way back to Wangdue Phodrang stop at Metshina. On a hillock in the center of the valley below Metshina is Chimi Lhakhang (Fertility Monastery), built by lama Drukpa Kunley in 1499. He subdued the demoness of the Dochu la with his ‘magic thunderbolt of wisdom.’ A wooden effigy of the Lamas thunderbolt is preserved in the Lhakhang, and childless women go to the temple to receive a wang (blessing) from the saint. It’s a 20-minute walk across the rice fields from the road at Sopsokha to the temple. The trail leads across rice fields to the tiny settlement of Pana. There are very few monks at the temple which is surrounded by a row of prayer wheels and some very beautiful slate carvings.Check into Hotel. Trongsa means ‘the new village.’ and the founding of Trongsa first dates from the 16th century, which is indeed relatively recent for Bhutan. It was the Drukpa lama, Ngagi Wangchuk (1517-54), the great grandfather of Shabdrung Nawang Namgyel, who founded the first temple at Trongsa in 1543. The landscape around Trongsa is spectacular, and for miles on the end the Dzong seems to tease you so that you wonder if you will ever reach Trongsa. The view extends for many kilometers and in the former times, nothing could escape the vigilance of its watchmen. 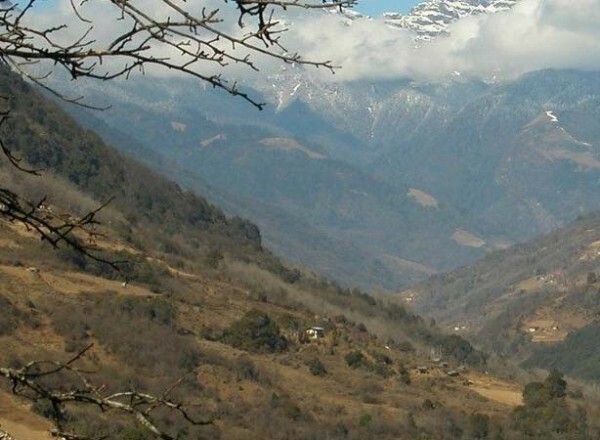 The Bumthang region encompasses four major valleys: Choskhor, Tang, Ura and Chhume. The Dzongs and the most important temples are in the large Choskhor valley, commonly referred to as Bumthang valley. There are two versions of the origin of the name Bumthang. 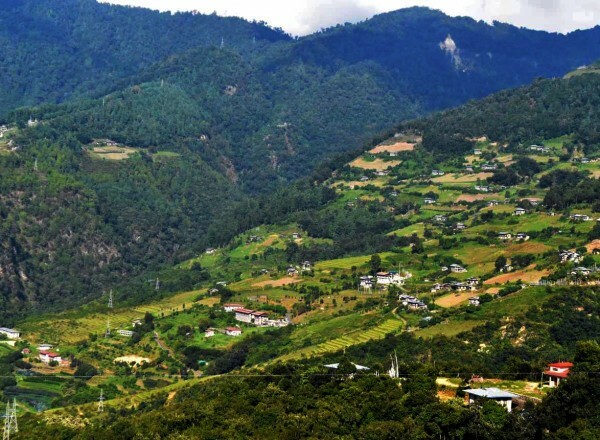 The valley is supposed to be shaped like a Bumpa, a vessel that contains holy water, and Thang meaning ‘field’ or ‘flat place.’ The religious connotation of the name aptly applies to the sacred character of the region. The less respectful translation relates to the particularly beautiful women who live here – bum means girl.It would be difficult to find so many important temples and monasteries in such a small area anywhere else in Bhutan. The small statues of the 3 Buddhas (past, present & future) in the sanctuary are said to have flown straight from Khaine Lhakhang in Kurtoe. Hence the name of this Lhakhang is Konchogsum – Konchog (divine being), sum (three). t’s a five-minute walk from the parking spot alongside the road to Membartsho (Burning Lake), which is actually a wide place in the Tang Chhu. Pema Lingpa found several of Guru Rimpoche’s terma here. A wooden bridge crosses the river and is a good vantage point to look down into the lake. Ura is quite a large village. The Lhakhang dominates the town and is reached by turning off the road to Mongar on a short unpaved road that leads off the main road east of the village. There are about 40 closely packed houses along cobblestone streets, giving the town a medieval atmosphere. The Geyden Lhakhang dominates the village.Evening drive back to Bumthang. After breakfast drive to Phobjikha. Follow the same route back to Trongsa & Wangdue and after you cross Pele La the road diverts to Gangtey Valley which is just 5 km. The gravel road to Gangtey descends through fields of bamboo, emptying into a lowland valley of grass that falls within the borders of the Black Mountain Natural Park. To the Bhutanese, going to Gangtey is like going back in time, an interesting perspective given that they themselves live in a country right out of the pages of King Arthur’s Court. Picnic lunch at Chendebji Chorten. Morning: Your first stop should be at the RSPN (Royal Society for Protection of Nature) its open 7 am – 7 pm Monday to Friday. It has formative displays about the cranes and the valley environment. The center of the valley is wetland and is the winter residence of a flock of 200 – 300 rare and endangered black-necked cranes. Gangtey Goemba overlooks the large green expanse of the Phobjikha Valley. The extensive complex consists of the goemba and several other buildings, which include monk, quarters, meditation centers, school and small hotel. In the front of the yellow roofed goemba is a Tibetan style chorten with a wooden roof. Drive to Thimphu (optional) for lunch or continue drive to Paro. We will transfer to Airport for the departure flight to next destination.